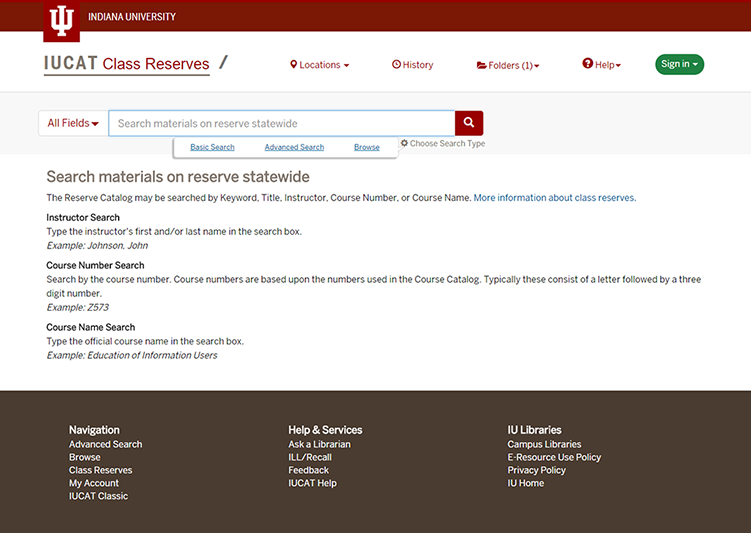 At Indiana University, you can access Class Reserves via the IUCAT Blacklight interface, which allows you to search for reserves in a variety of options. Results in this view are limited to only items on reserve. 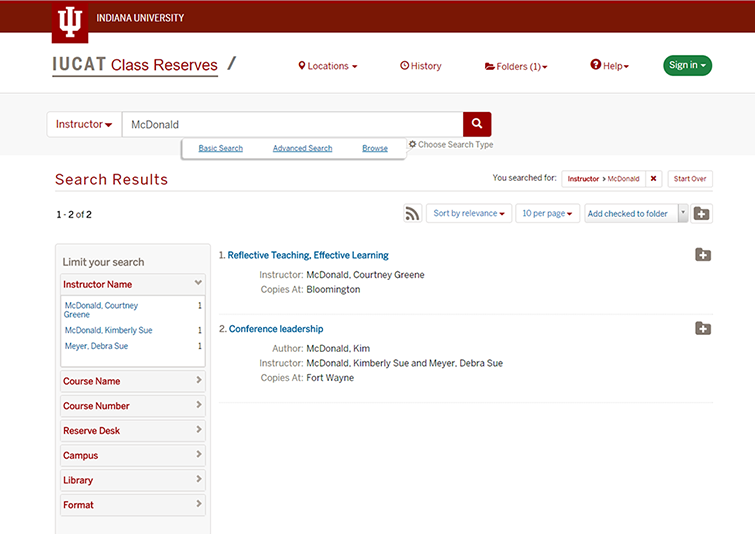 Because Class Reserves uses Blacklight, you can create a tailored list of results by combining search terms and additional limiters (for example, Instructor + Course Name). In combination with the existing RSS functionality already available to display any results list, tailored lists of Class Reserves materials will be available for inclusion in course guides or elsewhere on the web. Class Reserves is a system-wide service. In order to access a campus view of IUCAT, select the campus facet. This is document amui in the Knowledge Base. Last modified on 2018-10-29 12:40:36.